Diversity includes multi-talented women with surprising career paths. 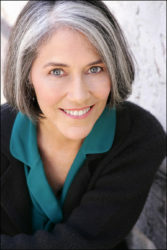 With an acting career spanning over 40 years, Carol is best known for her role as Cindy Walsh in Aaron Spelling’s Beverly Hills 90210, among many other TV credits. She has also been seen on stages in New York, including the original Broadway production of Gemini, Los Angeles, and regional theater. A Harvard graduate, she became a Licensed Marriage and Family therapist in 2001. Religion today provides more sensational headlines and political debate topics; more inspiration to make a difference and more despair about the future than it has in decades. Few issues are more emotional than religion and few issues are more relevant today to peace and prosperity. Are faithful followers ready to confront the challenge of religious pluralism? Can we find ways to come together for the sake of our communities? Yes, I’ve learned that it’s possible, but only if we “Harmonize NOT Homogenize.” Here’s how I discovered that truism, and why I’m choosing to share my story now.